In the slew of Black Friday sales, it might be easy to overlook Amazon's tried-and-true Deal of the Day. While not always pertinent to us here at Android Police, today's offering is (albeit somewhat tangentially). 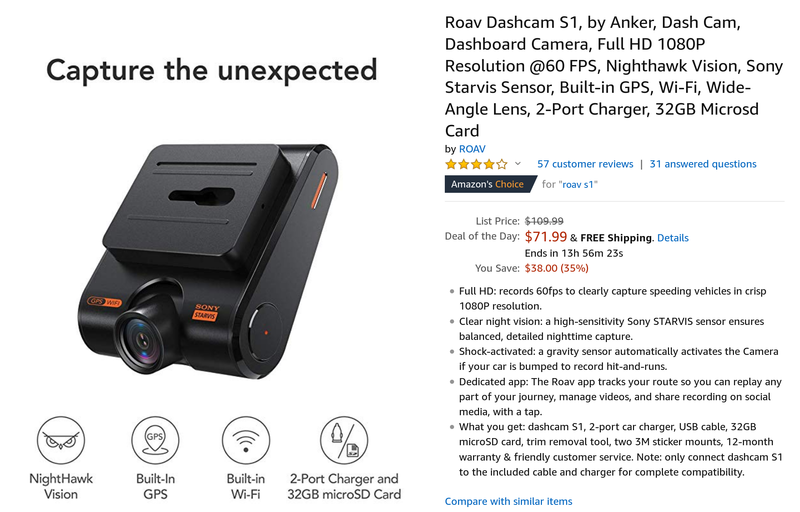 Right now, you can pick up Anker's Roav Dashcam S1 and a 32GB microSD card for $71.99, a savings of $38. 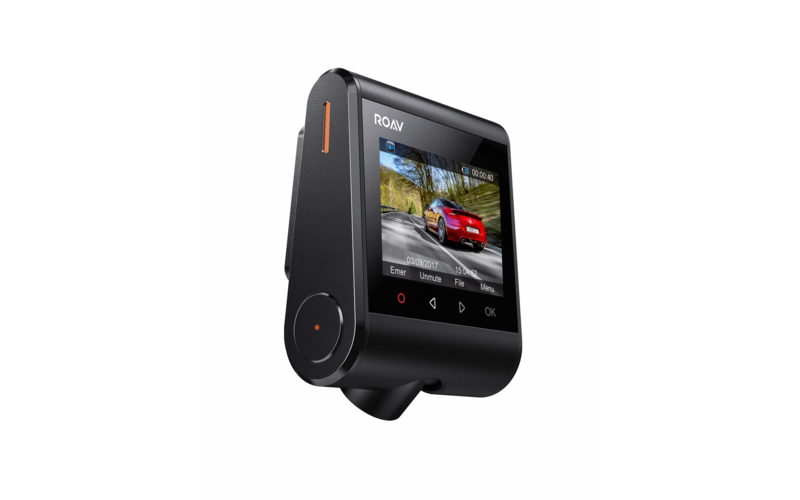 The dashcam is paired with the Roav Android app, which let's you track your journey, browse through footage, and share videos. The camera itself sits flush with the windshield, making it fairly incognito as far as dashcams go. It records in 1080p at 60 frames per second, and sports both night vision and vibration activation. Besides the free microSD card, you get a two-port charger, a trim removal tool, two 3M adhesive mounting stickers, and a full year's warranty. This deal has roughly fourteen hours remaining at time of writing, so don't wait too long.